Before moving any further, it is important to address a critical piece of the equation while looking at structuring an institutional-style fundraising campaign. The issue of referral vs. fit is one of the most misunderstood parts of the fundraising process, and countless companies fail to raise money, simply because their fundraising executives won’t believe that a cold email can be effective. We at LSN speak to a lot of entrepreneurs who refuse to accept that outbound marketing works, and it is our belief that this is due to an unwillingness to commit rather than genuine disbelief. Once you have made the commitment to go outbound, things become a little easier. On to the issue of the cold e-mail. It has been proven time and time again that cold emails with diligent follow-up targeting the right group can be extremely effective. This is primarily because cold emails help you to reach the target person – with cold emails you can immediately reach exactly the right people in the investor organization, and that makes a significant difference. Of course this won’t work with just a random list of emails, you need a targeted list of specific entities. Beyond that, you need to reach the right people, not just the right firms. Now that we’ve covered that, let’s look at the potential pool of investors and narrow it down to a target list. There are two types of investors: mandate-driven and opportunistic. Mandate driven investors are usually restricted to investing in opportunities that match a particular main sector, subsector, development phase, growth phase, indication preference, capital structure or need above or below a certain amount of investment. These restrictions are formed at the inception of the fund in order to provide serve as unique investment vehicle that matches the investment interests of the limited partner’s participating in the fund. By limiting the investment opportunities the limited partners can benefit from the unique risk and reward characteristics of the fund. For example an investor might specialize in investing in late stage oncology opportunities that requires equity financing. As a result opportunities outside of the mandate’s scope are immediately disqualified. Opportunistic investors on the other hand are defined by their lack of a mandate driven investment strategy. As a result they will not disqualify opportunities and therefore tend to have a broad range of investments. As a fundraising executive you must understand each investor’s investment criteria, and make an effort to target those that are a match your company’s unique investment profile. Otherwise, you will find yourself wasting your time reaching out to investors that are not a fit. Note however, that your list should not be restricted to only fits for your current round, as you want to create a dialogue with investors that will be a fit further down the road. That way, when the next fundraising hurdle is reached, you already have a dialogue with the next source of capital. Here’s a good benchmark to use: for every 100 investors that you reach out that that are un-validated without any clear indication of potential fit, a hit rate of 1-2 is the absolute upper limit. However, of a list of 100 investors with a pre-validated declared interest in an opportunity like yours, one should expect to schedule a conference call or meeting with 15–20 of those prospects. This is in stark contrast to the one or two prospects that you will yield from a un-targeted list. Assuming you are able to obtain a vetted target list and you’ve taken the time to evaluate your resources for follow-up, you can now get an idea of how many investors you will need on your email target list. Generally, a fundraising executive starts be mining their internal database of potential investors—a list of current, past, and prospective investors—which they have built up over the years. This is a start, but your work is not done. To augment such a list, you can purchase one of the hundreds of commercially available databases, or take some time to research potential investors on your own. Researching investors on your own is time consuming process, and painful process. 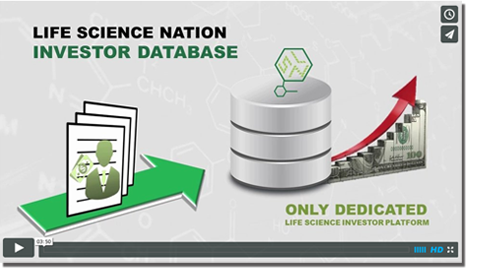 Sophisticated investor database providers on the other hand can provide you with a list of potential investors that meet your investment profile with a couple clicks. They do this by employing staff that actively interviews investors regarding their investment preferences. Although these providers charge a fee they can save you significant time and effort.